Wicked Circus is a creepy slot from Yggdrasil that features the well-known jester, but in a much more scary attire. 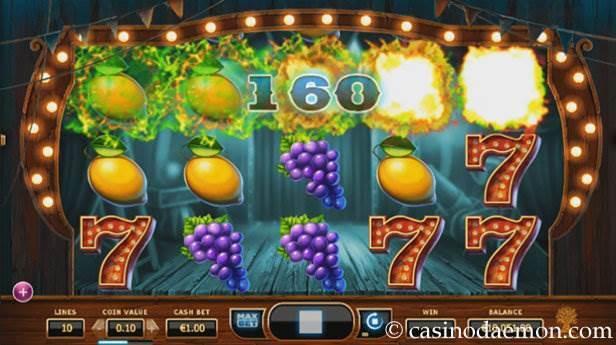 The game features traditional game symbols, such as 7s, bells, stars and fruit, which makes it look like a classic slot game, but it is a lot more than that. The setting is a circus and when you play, the creepy jester can pop onto the screen every now and then. He is the most important symbol in the game and can pay a mystery win up to 6,000 coins in the Jokerizer mode. Winning combinations are paid on 5 pay-lines from the right and also from the left. The game has a medium variance and the highest win can be achieved in the Jokerizer mode. The slot has a theoretical return to player of 96.3%, and you can also play Wicked Circus mobile on many different devices and try your luck on the go. 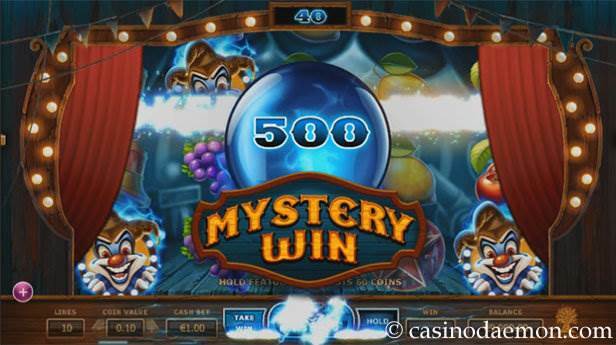 You can play the Wicked Circus slot for free here and enjoy this fantastic slot machine without any obligation. If you like the game you can find it in one of the casinos mentioned on this page. What makes this game special is the Jokerizer mode that triggers with any line win. You can choose to either collect the win or start the Jokerizer mode. 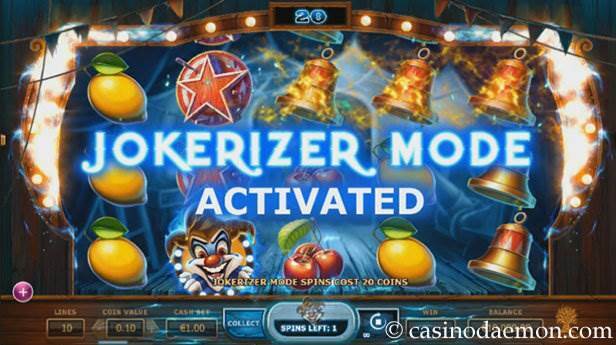 During the Jokerizer mode you spend 20 coins per spin, but your chances of winning are increased. The Joker is the most important symbol in the game, and when you land three of them anywhere on the screen in regular mode or two of them in the Jokerizer mode you will get a mystery win of between 40 and 6000 coins, depending on how many jokers you have on the screen. Your chances for a mystery win are also increased during the Jokerizer mode, because two or more Jokers on the screen activate the Hold function, which allows you to hold the Jokers in place and spin other reels again for another chance of landing more Jokers. A Hold Spin costs 60 coins. 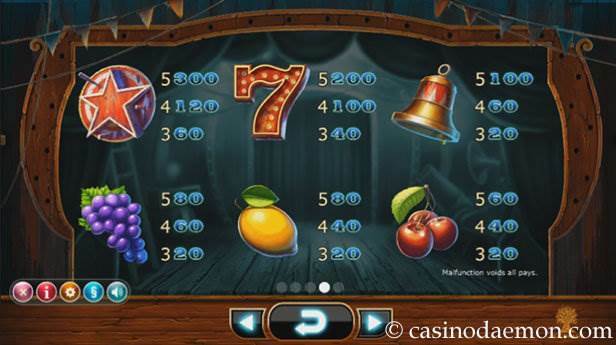 You can play the Wicked Circus slot with coin values ranging from £/$/€ 0.01 up to £/$/€ 2. The game is played with 5 fixed pay lines from each side, which means that the minimum stake for one round is £/$/€ 0.10 and you can increase the stake up to £/$/€ 20 by changing the coin value of the slot. The game also has automatic play options.